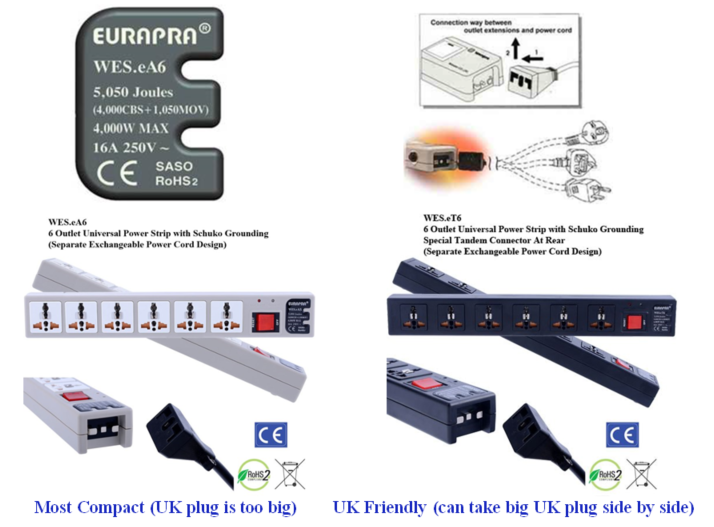 4G Power Strip Feature Summary – A New Revolution! 2G WES4.5 – 15 Seconds: Caught Fire, 3 Minutes: Burned to Ashes. 4G WES.eT5 – 30 Seconds: Caught Fire, Minutes: Fire contained at the Direct Point of Contact. With MOV LED light and Ground LED light, and Fuse to prevent MOV Explosion. 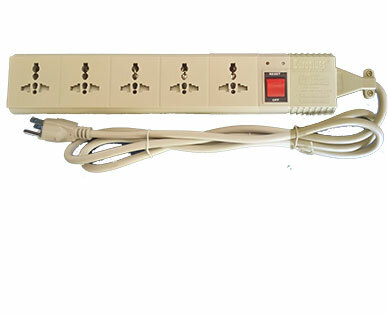 Only Universal Power Strip built the right way. 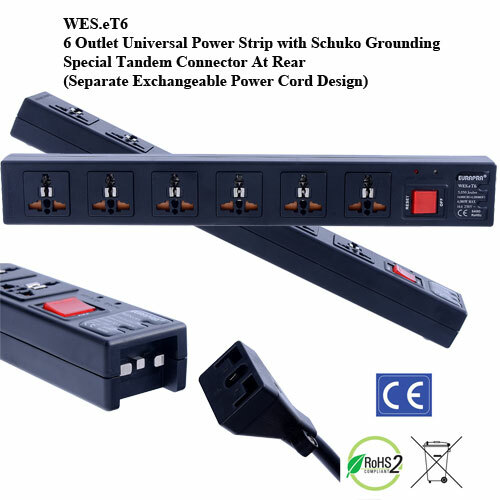 WSR Connector – Support up to 20 Amp cord (limited by 16 Amp Reset Switch). Vertically Slide in, horizontally can’t be pulled apart, work like Direct Wired. 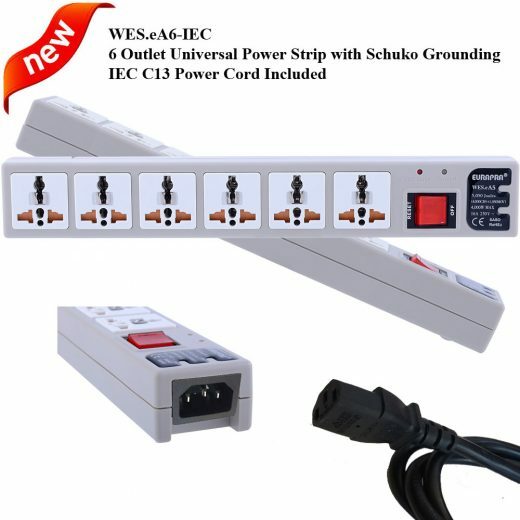 IEC C13 Connector – IEC standards support 10 Amp, good for international travelers. Single Pole Switch only cut off electricity only on the Live Wire. But, there is no international standard for the L-Pole and N-Pole locations. 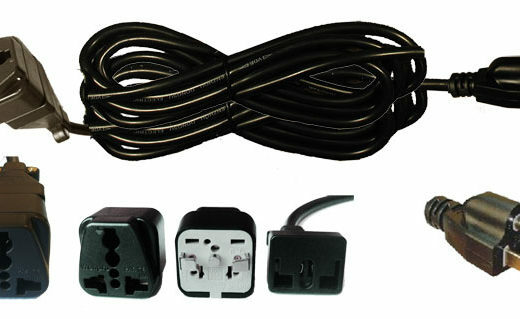 The L-Wire can be on the right or on the left depending on the country. The US and most European countries have N-L on the opposite side. They allow a German plug to be inserted into the socket in either direction. 50% of the time you can’t turn off the power strip! That is, the “OFF” function is either 50% FAKE or 100% FAKE!! Can Print Your Trademark / Brand Name At reasonable quantity and a small new label fee, we can remove our trademark and print your trademark or brand name to support your marketing strategy.